Though ‘White’ and ‘Black’, continue to be the most preferred colours used while designing Bathrooms, including the colours of Bathroom Fittings and Sanitaryware, the ‘Shades of Grey’ are breaking the clutches. Colours are emerging, and these are not on the horizon. They are here! 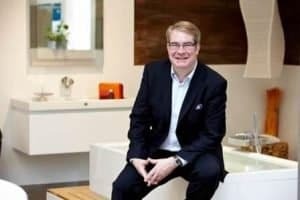 With the much-awaited show on Bathrooms, Sanitaryware, Plumbing and HVAC – ISH in Frankfurt just round the corner, Mr.Jens J. Wischmann, Managing Director, German Sanitation Industry Association (VDS) talks about the emerging trends in Bathrooms. 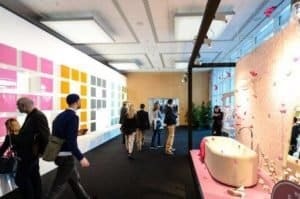 As is projected at this year’s ISH (March 11-15, 2019), ‘Colour’ will be the highlight at the ‘Pop Up My Bathroom’ concept – a concept that has become to be part of the mainstay at each ISH. The concept is a joint initiative of MesseFrankfurt (the organiser of ISH) and VDS. Mr.Wischmann addresses many subjects around Bathroom designing – Colours, Role Of Lighting, Changing Buying Behaviours, Installations, Designing, Cost Factors, etc.